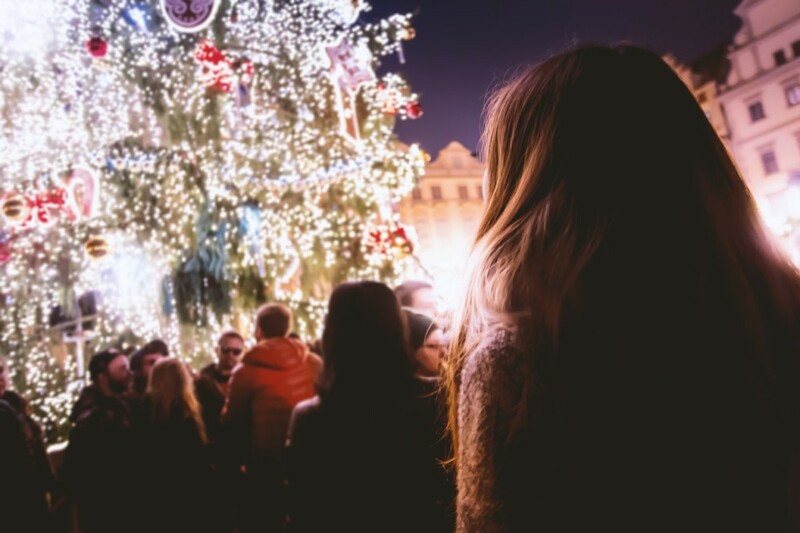 The festive season is well and truly upon us, and it’s time to start finding out about the fun and exciting Christmas events that you can experience this December. To make it easier for you to discover everything that’s going on, we’ve brought together a couple of events from every one of our Titan Storage locations to give you some ideas! If you’re looking for a festive event in Bracknell, then look no further than witnessing the fantastic charity-focused Reading Toy Run on the 10th December. Watch as motorcycle-riding Santas, elves, snowmen and more take to the streets on their journey from Foster Wheeler to the Wokingham High Close School. Every toy carried on a motorcycle will be donated to Barnardo’s so that no child goes without a present this Christmas. Find out where to watch here. For another Christmassy event to get involved with, South Hill Park will be getting a visit from a very special guest this December! From the 8th to the 23rd December, visit Santa in his Christmas Grotto and, new for 2017, decorate your own Christmas ornament with Santa’s Elves to hang on your tree when you get home. Make sure to book your place here. Find Christmas magic in Braintree this holiday season with their fantastic Reindeer Trail that stretches through the centre of the town, inviting you to find all of Santa’s reindeer so that he can fly his sleigh this Christmas! They’re hiding outside some high street shops – find them to get a certificate and entered into a Christmas hamper prize draw. Find out more. If you need to get some Christmas shopping done, why not take a look at the Braintree Christmas Market, which occurs on every Saturday during the month of December. The heart of Braintree will be transformed into a winter wonderland, so come and support local businesses at the range of fantastic markets including arts and crafts, festive food and drink supplied by local producers. Would you like to have breakfast with Santa to celebrate the festive season? Well that’s more possible than you think at the South Downs Leisure Centre! For three days in December, bring your children along to enjoy a delicious, freshly-prepared breakfast, the whole family meets Father Christmas, and each child then chooses their present to take home. More details here. If you’d like to feel even more ‘Christmassy’, the Windmill Theatre is putting on a special showing of It’s a Wonderful Life on the 17th December for only £5 a ticket! Experience the magic of a Christmas classic and follow the story of George Bailey and the angel Clarence on the big screen! If you haven’t got your fill of Christmas markets yet, make sure to check out the Yuletide Markets in the centre of Royal Leamington Spa. On every Sunday in December, come and explore the market to discover a range of fantastic Christmas gifts fit for anyone. Celebrate with a traditional Christmas pastime by joining the Kenilworth Lions Carols in Abbey Fields for a fantastic carol concert. Start your festivities on the 23rd of December with the Salvation Army band and Primary School choirs to lead you through some of your favourite carols and songs. There are many Christmas events happening in Solihull this December, but make sure not to miss the fantastic Dickensian Christmas Fair on the 16th December, complete with carol singers, themed entertainment, and Christmas elf balloonists. Head to Mell Square in Solihull to experience the magic of Scrooge on stilts and experience Christmas in a truly traditional manner. There’s nothing more Christmassy than attending a pantomime to cheer on the good guys and boo the evil villains on stage. This year, delve into the story of your favourite hero in tights, Robin Hood! Head to the New Victoria Theatre to watch Shane Richie, from Eastenders, win the hand of Maid Marian while he and his merry men outwit the Sherriff Nottingham. Book your tickets here. Venture into Woking’s Magical Grotto and Market to discover the magic of Christmas by meeting Santa Claus and unearthing some Christmas goodies. Head to Market Street to find Santa and, with him, some impish elves, a chorus of carols, Christmas bells, crafts, festive food and more! Find out details here. From everyone here at Titan Storage, we hope you have a fantastic holiday period and a great time experiencing all the Christmas events that your local area has on offer. If you’re in any of our storage locations and need to store some Christmas presents to hide them, or want a space to keep extra stock, why not visit our website and find out more.